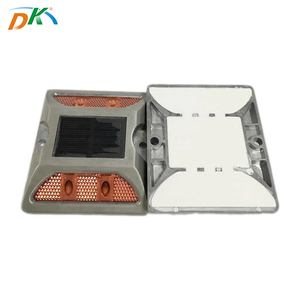 Solar powered Aluminum embedded road stud,steel road stud 1. Solar panel: 2V / 100MA monocrystalline silicon 2. Energy storage device: 1.2V / 600MAH high temperature nickel-metal hydride batteries; 3. Working time: standard light intensity, charging can work 72 hours a day, the battery is fully charged can work continuously for 100 hours or more 4. Display: Flashing or steady 5. Display color: white, yellow, red, green and blue are available. 6. Display: 3 5MM super bright LED lights 7. Visible distance:&gt; 500 m 8. Kai control light intensity: 400-500Lux 9. Life: Ni-MH battery 3--5 years 10. Working environment: -20 &#8451; ~ + 80 &#8451; 11 Materials: Glass + housing + PC material imported sunroof, anti-UV, anti-yellowing. 12. Dimensions: 105 * 105 * 25MM, Weight: 330 g 13. waterproof and static compression capability: IP68, static compression greater than 10 tons. 1 YRS Shenzhen Deke Photoelectric Technology Co., Ltd.
2 YRS Jiangsu Baide Special Alloy Co., Ltd.
1 YRS Dongtai Hongshenglong Stainless Steel Products Co., Ltd.
2 YRS Jiangsu Huabiao Import & Export Co., Ltd. 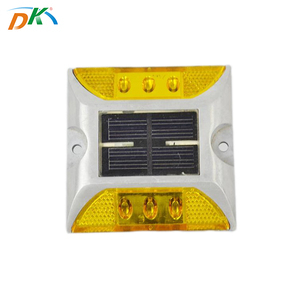 Solar power aluminum LED road traffic sign lamp,off road led 1. Solar panel: 2V / 100MA monocrystalline silicon 2. Energy storage device: 1.2V / 600MAH high temperature nickel-metal hydride batteries; 3. Working time: standard light intensity, charging can work 72 hours a day, the battery is fully charged can work continuously for 100 hours or more 4. Display: Flashing or steady 5. Display color: white, yellow, red, green and blue are available. 6. Display: 3 5MM super bright LED lights 7. Visible distance:&gt; 500 m 8. Kai control light intensity: 400-500Lux 9. Life: Ni-MH battery 3--5 years 10. Working environment: -20 &#8451; ~ + 80 &#8451; 11 Materials: Glass + housing + PC material imported sunroof, anti-UV, anti-yellowing. 12. Dimensions: 105 * 105 * 25MM, Weight: 330 g 13. waterproof and static compression capability: IP68, static compression greater than 10 tons. 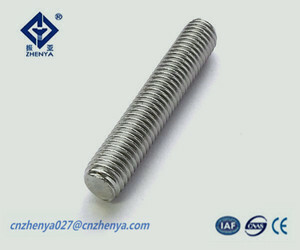 Our product: Hex Bolts Nuts washers U bolt, Parallel Key, Flange, stud bolts ,socke head screws, flat head screws,countersunk socket screws ,slotted head screws ,threaded rod ,chemical anchors, set screws of dog point, flat point, and other non standard process parts if with drawing. 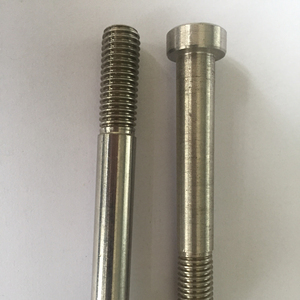 Material: 17-4PH, 17-7PH, super duplex steel S32750 / S32760, A286 / ASTM A453 GR660, Inconel718/625/601, Monel 400 / K500, Hastelloy C276 / C22,1.4529,254SMO, ASTM A193 GR B16 / B8M, urea grade stainless steel 725LN, titanium alloy, pure tungsten, pure zirconium and so on. 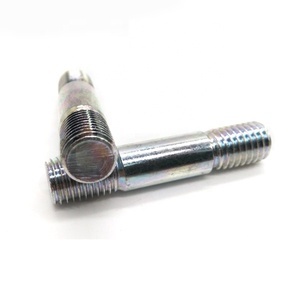 is widely used in oil, gas, marine, energy, aerospace and so on . Delivery Details : 20-30 days after order confirmed Small sizes packed in small boxes, then in cartoons. Q: How long is your delivery time9 A: Generally it is 5-10 days if the goods are in stock. 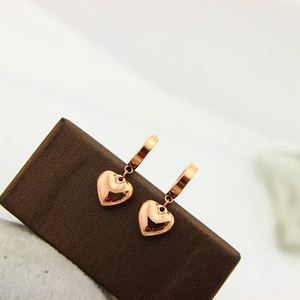 or it is 20-30 days if the goods are not in stock, it is according to quantity. 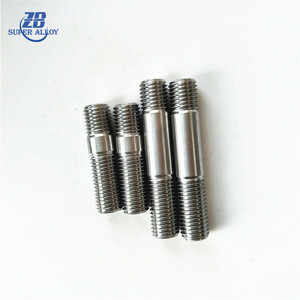 Alibaba.com offers 334 duplex stud products. About 45% of these are bolts. 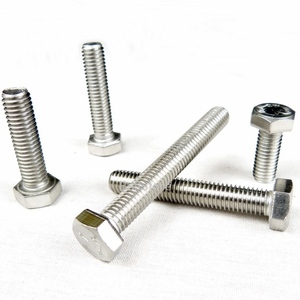 A wide variety of duplex stud options are available to you, such as metal, steel. You can also choose from free samples, paid samples. 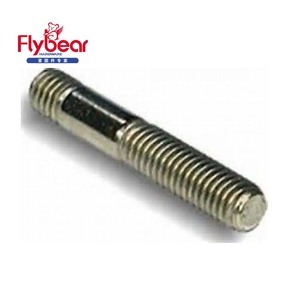 There are 334 duplex stud suppliers, mainly located in Asia. 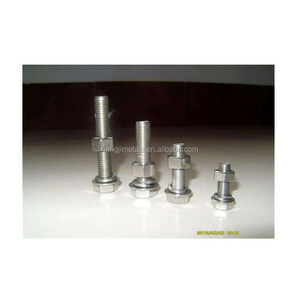 The top supplying country is China (Mainland), which supply 100% of duplex stud respectively. Duplex stud products are most popular in North America, South America, and Mid East. You can ensure product safety by selecting from certified suppliers, including 110 with ISO9001, 70 with ISO14001, and 66 with Other certification.